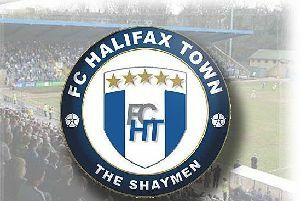 Halifax kick-off their pre-season campaign with a trip to Brighouse Town on Saturday (3pm). Town boss Billy Heath says it is too early for his players to play a full 90 minutes and will make 11 changes at half-time. Defender Matty Brown is a doubt with an ankle injury, while Scott McManus has been ruled out until around Christmas with a cruciate ligament injury. Brighouse boss Paul Quinn recently became the club’s first ever contracted manager after agreeing a season-long deal. He has been in charge at the Dual Seal Stadium since 2011. Ticket prices for the game are £10 for adults, £7 for concessions and under 12s can go free if accompanied by a paying adult. Town then play away to Worksop on monday night (7.30pm).